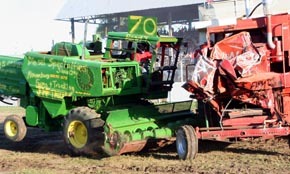 With a grandstand full of enthusiastic fair patrons, the 2009 Boone County Fair featured some entertaining action Tuesday and Wednesday, July 14-15, with the Combine Demo Derby, Two-Car Chain Race, School Bus Race and ATV Motocross. 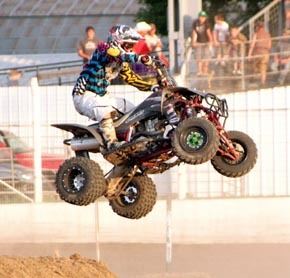 Producing some of the most thrilling action was the ATV Motocross Wednesday evening. 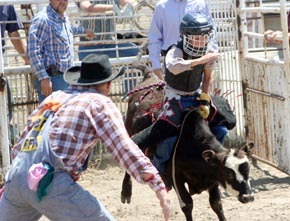 A total of 30 riders traversed the challenging course built in the infield of the fairgrounds race track. Winning the Pro Division of the competition was Tyler Utecht of Hastings. Rounding out places were Justin Fandl of Lincoln (2nd), Clint Colton of Waverly (3rd), Horn of St. Edward (4th), Kenesaw’s Jesse Murman (5th) and Austin Bittfield (6th). The top six amatuers were Nathan Hughes of Columbus (1), Matt Rosno of Genoa (2), Monroe’s Trevor Knopik (3), Seth Felber of Newman Grove (4), Mark Shotkoski of St. Edward (5) and Miguel Karmann of Cedar Rapids (6). 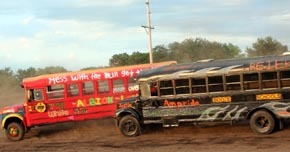 In conjunction with the motocross Wednesday, the popular School Bus Races combined thrills and spills, including rollovers that had fans roaring. Donald Beierman won the first heat of bus race competition, followed by Joey Niedhardt and Jared Johnson. Heat two winner was Casey Slaymaker, trailed by Jeff Merten and Curt Berglund. Jeff Briese won the third heat in front of Travis Landauer and Chris Kohtz. Kohtz came back to win the first of two feature races, with Berglund second. Briese took the second feature ahead of Niedhardt. In Powder Puff action, Kelly Reigle won the first heat, followed by Kelly Merten and Donelle Finnegan. Brooke Stuhr took heat two in front of Kaylee Merten and Brenda Milander. Best School Bus Paint prize went to Matt Cook. In the Combine Demo Tuesday, Brady Christman of Albion won heat one, with Ryan Niedhardt of Albion second. 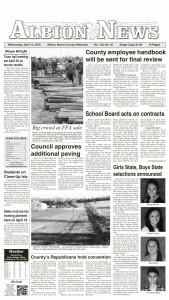 Albion’s Keith Prothman won heat two and Ryan Figgner of Primrose took second. In the demo feature, Prothman took first place, with Christman second and Mike Schriver third. Best Paint went to Clark Noble. 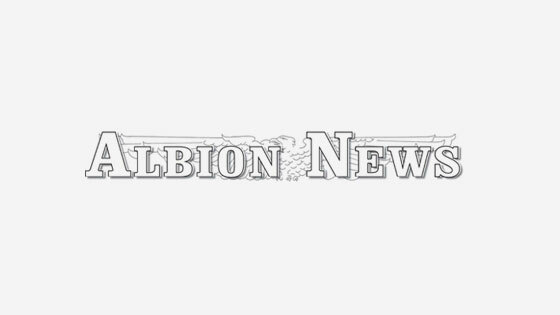 Eric Berglund of Albion was the feature winner in the Two-Car Chain race Tuesday, followed by Dan Botsch of Malcolm, Jeff Weltruski of Spalding, Scott Brengelman of Albion, Chris Diessner of Spalding and Travis Landauer of Albion.